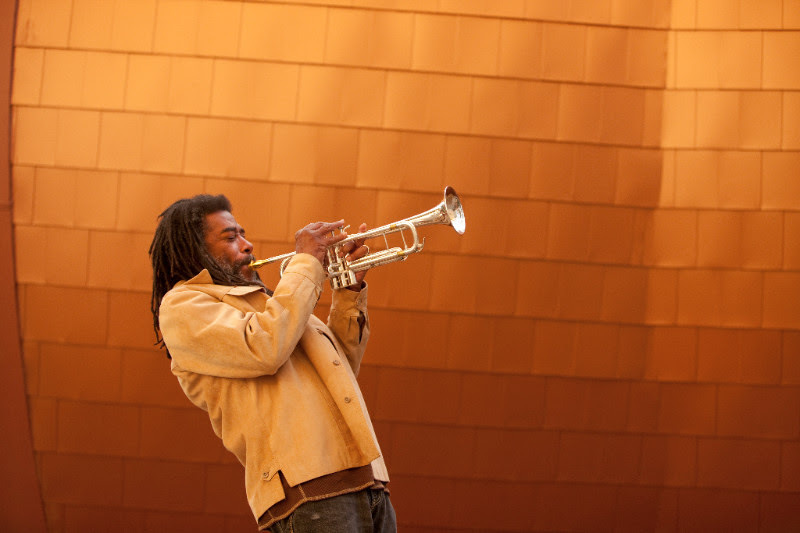 The great trumpeter/composer Wadada Leo Smith is a part of Made in L.A. 2016: a, the, though, only, the third biennial at the Hammer Museum in Los Angeles. Smith's Ankhrasmation scores, which use non-standard visual directions, are on view. He'll also perform at the museum this Thursday, June 23 with bassist John Lindberg and video artist Jesse Gilbert. Smith, who received a prestigious 2016 Doris Duke Artist Award, is one of the most boldly original figures in American jazz and creative contemporary music. He has released more than 50 albums as a leader and maintains an active touring and recording schedule. Most recently, he’s been touring widely with pianist/composer Vijay Iyer to support their March 2016 duo recording a cosmic rhythm with each stroke on ECM. Recordings scheduled for fall 2016 include Wadada Leo Smith: Nagwa (TUM), featuring Smith with guitarists Michael Gregory Jackson, Henry Kaiser, Brandon Ross and Lamar Smith, plus Bill Laswell on electric bass, Pheeroan akLaff on drums and Adam Rudolph on percussion. Also on TUM will be a solo recording of Monk’s music. Cuneiform will release Wadada Leo Smith: The National Parks featuring Smith’s Golden Quintet plus cellist Ashley Walters. (Los Angeles, CA) — The Hammer Museum celebrates the opening of Made in L.A. 2016: a, the, though, only, the third iteration of the Hammer’s biennial exhibition highlighting the practices of artists working throughout the greater Los Angeles area. Organized by Hammer curator Aram Moshayedi and Hamza Walker, Director of Education and Associate Curator at the Renaissance Society in Chicago, Made in L.A. 2016 is on view June 12 – August 28, 2016 at the Hammer Museum. Subtitled by the minimalist poet and writer Aram Saroyan as his contribution to the exhibition, Made in L.A. 2016: a, the, though, only includes 26 contributing artists and participants and is accompanied by a robust schedule of free public programs. Made in L.A. 2016 features in-depth presentations of individual bodies of work—from condensed monographic surveys by artists Kenzi Shiokava and Huguette Caland to comprehensive displays of multiyear projects. This exhibition includes newly commissioned works from emerging artists, extending into such disciplines as dance, fashion, literature, music, and film. New projects by a selection of younger artists consider the roles of other visual and literary forms within their practices. As part of their research, Moshayedi and Walker visited studios across Southern California, spanning Chinatown, Compton, Downtown, East Los Angeles, Echo Park, Highland Park, Inglewood, Joshua Tree, Ladera Heights, Leimert Park, San Diego, Santa Monica, Venice, and Ventura. The exhibition addresses Los Angeles as a nexus of activity inseparable from the global network of art production, revealing how artists move fluidly between contexts and respond to their local conditions. The participating artists come from countries such as Australia, Brazil, Canada, Columbia, Germany, Lebanon, Spain, and Switzerland, and disregard any pretense of a unifying regional aesthetic, sensibility, or identity that has tended to be historically associated with Los Angeles. Made in L.A. 2016 focuses on a selection of artists from different disciplinary backgrounds, allowing the individual projects to guide the shape and parameters of the overall exhibition. For their contribution, fashion designers Eckhaus Latta create merchandise and marketing campaigns specifically for the Hammer that are inherently tied to the objectives of their clothing label; and the work of artist Guthrie Lonergan inhabits the museum’s expansive digital spaces, including the website, that are normally reserved for external communications. Aram Saroyan’s subtitle—a new poem commissioned specifically for Made in L.A. 2016: a, the, though, only—functions in a similar manner, occupying the space of the exhibition’s marketing and communications while lacking any physical presence in the galleries. The tendencies of ephemerality and physicality are further underscored by such artists as Todd Gray, who goes about the routines of his daily life independently of the exhibition at the Hammer while wearing the clothing of his late friend and collaborator Ray Manzarek—co-founder and keyboardist of The Doors—until Made in L.A. 2016 closes on August 28. Performances and public programs also play a central role, accompanying the exhibition and taking place within the context of site-specific installations by artists Rafa Esparza, Lauren Davis Fisher, and choreographer Adam Linder. Additionally, artists such as Martine Syms, Shahryar Nashat, and Kenneth Tam debut film/video works that were produced as part of Made in L.A.’s emphasis on new commissions. 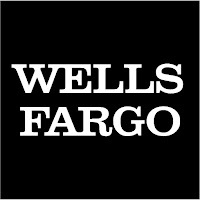 Funded through the generosity of Los Angeles philanthropists and art collectors Jarl and Pamela Mohn, The Mohn Award ($100,000) and the Career Achievement Award ($25,000) will be selected by a professional jury, and the Public Recognition Award ($25,000) will be determined through a public vote. All the artists in the exhibition are eligible to receive the awards. In 2014 Alice Könitz, creator of The Los Angeles Museum of Art, received the Mohn Award; Magdalena Suarez Frimkess and Michael Frimkess received the Career Achievement Award; and Jennifer Moon received the Public Recognition Award. In 2012 Meleko Mokgosi received the Mohn Award. Jarl Mohn said, "The Hammer's Made In L.A. biennial has quickly become known as definitive source of recognizing brilliant new emerging artists and long time under-recognized creators of innovative art. This biennial is the early forecast system for creative genius in Los Angeles." 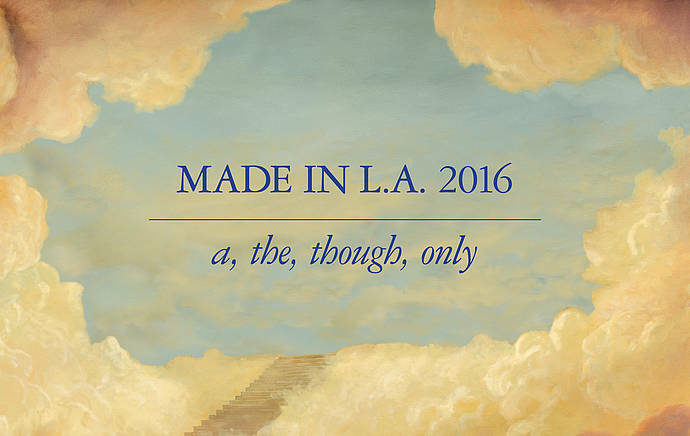 Made in L.A. 2016: a, the, though, only is accompanied by a fully-illustrated catalogue that functions as an extension of the exhibition. Built around a broad range of material, developed in collaboration with each participating artist and contributor, the catalogue includes commissioned essays and texts by artists, curators, critics, and writers, including George Clark, María Palacios Cruz, Raquel Gutiérrez, Sandy Lajer, Sarah Lehrer-Graiwer, Sohrab Mohebbi, Ed Moses, Janet Sarbanes, Rachelle Sawatsky, Kitty Scott, Oscar Tuazon, and Robert Wilhite. The catalogue is designed by Joseph Logan Design, a New York-based design studio, and is co-published with DelMonico Books, an imprint of Prestel Publishing. The Hammer’s biennial exhibition series Made in L.A. focuses exclusively on artists from the L.A. region with an emphasis on emerging and under-recognized artists. The Los Angeles biennial debuts new installations, videos, films, sculptures, performances, and paintings commissioned specifically for the exhibition and offers insight into the current trends and practices coming out of Los Angeles, one of the most active and energetic art communities in the world. Made in L.A. began in 2012 with a second iteration in 2014, and followed the tradition of the Hammer Invitational exhibitions, which occurred every two years and included Snapshot (2001), International Paper (2003), Thing (2005), Eden’s Edge (2007), Nine Lives (2009), and All of this and nothing (2011). Made in L.A. 2012 was organized by a team of curators from the Hammer Museum and LA><ART: Hammer Senior Curator Anne Ellegood, Hammer Curator Ali Subotnick, LA><ART Director and Chief Curator Lauri Firstenberg, LA><ART Associate Director and Senior Curator Cesar Garcia, and LA><ART Curator-at-large Malik Gaines. Made in L.A. 2014 was co-curated by Hammer Chief Curator Connie Butler and Los Angeles based independent curator Michael Ned Holte. 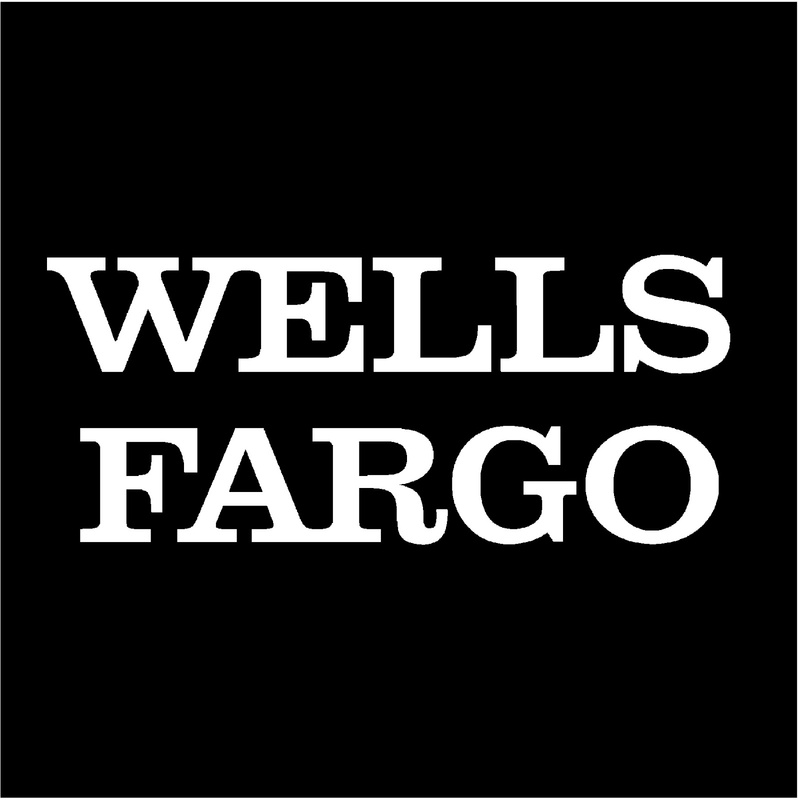 The Hammer is pleased to have Wells Fargo once again as Made in L.A.’s Presenting Sponsor, showing their continued and substantial commitment to this biennial event. The exhibition is made possible, in part, by the Mohn Family Foundation and members of the Hammer Circle. Major support is provided by Nick Grouf and Shana Eddy-Grouf. Generous funding is also provided by Viveca Paulin-Ferrell and Will Ferrell, Dori and Charles Mostov, Beth Rudin DeWoody and The May and Samuel Rudin Family Foundation, and The Fran and Ray Stark Foundation. Additional underwriting by Andrew Nikou, the Pasadena Art Alliance, and Mark Sandelson. The Hammer Museum at UCLA offers exhibitions and collections that span classic to contemporary art, as well as programs that spark meaningful encounters with art and ideas. Through a wide-ranging, international exhibition program and the biennial, Made in L.A., the Hammer highlights contemporary art since the 1960s, especially the work of emerging and under recognized artists. The exhibitions, permanent collections, and nearly 300 public programs annually—including film screenings, lectures, symposia, readings, music performances, and workshops for families—are all free to the public. Admission to all exhibitions and programs at the Hammer Museum is free, made possible through the generosity of benefactors Erika J. Glazer and Brenda R. Potter. Hours: Tuesday–Friday 11 a.m.–8 p.m., Saturday & Sunday 11 a.m.–5 p.m. Closed Mondays and national holidays. Hammer Museum, 10899 Wilshire Boulevard at Westwood, Los Angeles. Onsite parking $6 (maximum 3 hours) or $6 flat rate after 6 p.m. Visit hammer.ucla.edu for details or call 310-443-7000. Kein Paradiso is a choreography for three performers: Adam Linder, Jennie Mary Tai Liu, and Stephen Thompson. Situated within a visually abstract scenario, the performers try to find their way back to distinctions of representation and away from the universalism inherited from the lineages of modern and postmodern dance. Two multidisciplinary artists come together for one night of poetry and music. The poet, novelist, and playwright Aram Saroyan has been widely regarded for his minimalist poetry, and immunobiologist and cellist Georgia Lill moves from the laboratory to the recording studio with ease. Saroyan, the author of Made in L.A. 2016’s subtitle—a, the, though, only— reads a selection of his poems and longer poetic anthems, accompanied by Lill’s musical improvisations. 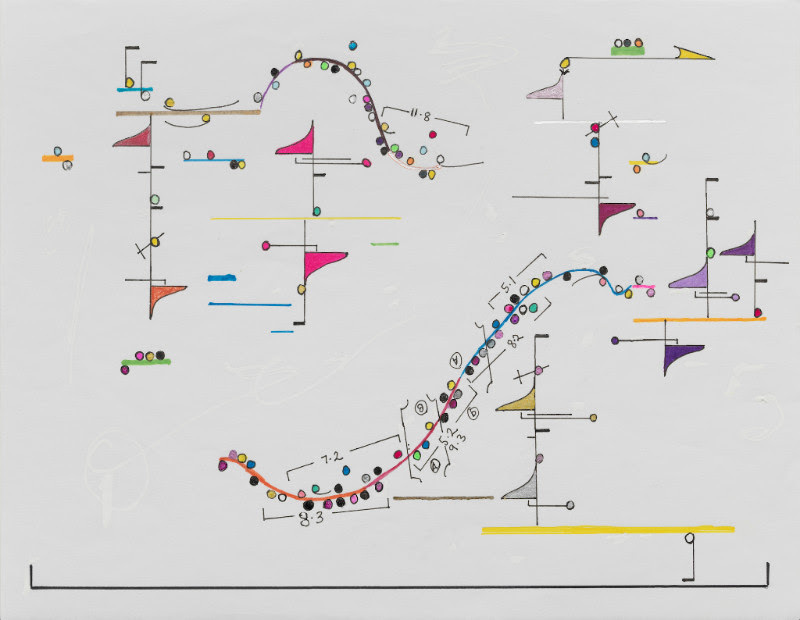 The scores of Made in L.A. 2016 artist Wadada Leo Smith are composed in the musical language of Ankrasmation, figuring as both aesthetic objects and musical roadmaps that encourage their performers to think deeply about improvisation as a resistance to classical notation. Bassist John Lindberg, a frequent collaborator who has been described as an unheralded master of modern jazz, joins Smith for a performance of Smith’s spontaneous existential compositions, along with projections by video artist Jesse Gilbert. Conceived and performed as part of Rafa Esparza’s installation for Made in L.A. 2016, mas gestos y mas caras is a durational work that narrates the conditions of invisibility through the processes of masking and molding. Dependent on the use of plaster bandages to obstruct Esparza’s breathing throughout the day, this work culminates in a series of readings by invited guests on the topics of brown and queer presence. RED SUMMER, freedom is an endless meeting. and i don’t miss your heat. but here we are again. Rafa Esparza’s RED SUMMER, freedom is an endless meeting. and i don’t miss your heat. but here we are again., is a meditation on the year 2015—the bloodiest in the recorded history of police killings in the United States. In a work that takes the form of a durational poem, elapsing over the course of a day from sunrise to sunset, Esparza will enact the ritualistic practices of digging as a way of highlighting the prevailing effects of a local and national militarized police force. From 1990 to 2007 the filmmaker Arthur Jafa filled nearly 200 three-ring binders with images from various sources that reflect aspects of black culture. These “picture books,” on display in Made in L.A. 2016, form unexpected and lyrical juxtapositions that represent Jafa’s interest in black aesthetics and his experiments with context, belonging, and alienation. Jafa will discuss representation and black cultural production with the writer and musician Greg Tate. Daniel R. Small’s contribution to Made in L.A. 2016 centers on the archaeological excavation of the site where Cecil B. DeMille filmed The Ten Commandments (1923) and the ways that this and other filmic imagery have colored notions of ancient Egypt in the popular imagination. Small and Jack Green, deputy director of the Corning Museum of Glass, will discuss the artist’s foray into amateur archaeology and excavation in its myriad forms. For one year, the artist Todd Gray wore the clothes of his friend and mentor the late Ray Manzarek, a founding member of the Doors. An act that went beyond artistic homage or memorial impulse, Gray’s gesture is being restaged for Made in L.A. 2016. In this program, Gray’s readings from letters he wrote to Manzarek’s widow about his desire to bring Ray “into the orbital sphere of the art world” will be followed by a discussion with Hamza Walker, cocurator of Made in L.A. 2016 and associate curator at the Renaissance Society. Kenneth Tam’s recent videos are the outgrowth of encounters between strangers, developed with participants the artist has met through online social forums. In these scenarios, barriers of intimacy become unhinged and vulnerabilities are shared through various activities that are performed in the presence of a camera, which acts as a conduit between an anonymous interior space and the outside world. Tam will be in conversation with the writer Bruce Hainley, alongside a screening of specially selected videos. Through their respective practices, the artists Guthrie Lonergan and Joel Holmberg approach the digital age with an awareness of its limitations and an appreciation of its finer details. In this multimedia event, Lonergan and Holmberg present a fictional narrative that meditates on the transformation of the web into a platform for professional aspiration. What happens when artists lose control of the narrative of their work, when ideas are misappropriated and instrumen­talized by others with differing agendas? A panel including Made in L.A. 2016 artist Dena Yago, her frequent collaborator Sean Monahan, and Rachel Berks of Otherwild Goods and Services addresses the implications of these questions amid the ever-expanding role and function of today’s creative industries and the blurring of lines between art and commerce. Vicky Funari and Sergio De La Torre’s searing documentary focuses on the abominable working conditions of maquiladoras in Tijuana, a subject close to the heart of the artist and activist Fred Lonidier. Lonidier, through his own practice and that of the collective Labor Link TV, has explored the ways in which photography can inspire and sustain political activism, turning his attention recently to the cross-border labor struggles between the United States and Mexico. The film will be followed by a screening of Labor Link TV Program #66B, Han Young Workers Vote and a discussion with the artist. Made in L.A. 2016 Artist Announcement from Hammer Museum on Vimeo. FESTIVAL INTERNATIONAL DE JAZZ DE MONTRÉAL - STARS IN A WEEK!